It can sometimes be challenging to stay on top of your medications and health. Your pharmacist can support you by providing you with special services and tools to make taking and managing your medications and conditions easier. Ask your Winchester Pharmasave pharmacist about all the ways we can help you achieve your health and wellness goals. At Winchester Pharmasave, we promote our customer’s healing and wellness through our high-quality products and supplies, making them accessible whenever and wherever they are needed. We make sure that they highly comply with the medications that have been prescribed to our customers so they get the full benefit of them. We understand how difficult it can be when you are ill, needing to take hold of the medicines you need, and having no one to hand them to you. We understand how difficult it is for seniors who may be forgetful to fully comply with their prescriptions with 100% accuracy. And how about those who need to have their prescriptions refilled but have got no time to refill them, themselves? Winchester Pharmacy has you covered. Blood Pressure Check. Did you know that 9 out of 10 Canadians will develop high blood pressure in their lifetime? Winchester Pharmasave provides FREE blood pressure monitoring. With our easy-to-use in-store blood pressure machine, and a Pharmacist available to review your results with you, monitoring your blood pressure is quick and convenient. Come in today to check yours! Influenza vaccinations. Your trained Winchester Pharmasave pharmacist can administer the annual flu vaccine to anyone five years of age and older. Medication & Sharps Disposal. Return Medication & Sharps to your pharmacy for SAFE DISPOSAL. Stop by and pick up your sharps container. Collect–Protect–Respect. Medication delivery. Unable to pick up your prescription? Winchester Pharmasave offers medication delivery to patients who live within the pharmacy’s medication delivery zone. Smoking cessation support. In addition to recommending over-the-counter medications to help you quit smoking, some patients can also participate in the pharmacy smoking cessation program, which offers smoking cessation counselling for eligible Ontarians. Talk to your pharmacist to see if you qualify. Travel Vaccines and Immunizations. 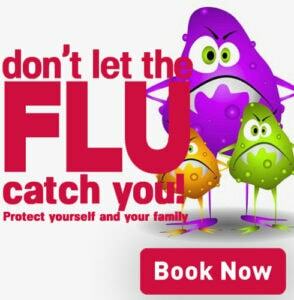 Book an appointment with one of our pharmacists and they will administer your vaccines for where ever you are headed. Our pharmacist will review your health information to ensure you are up-to-date with any required immunizations and vaccinate if necessary. Renewing a prescription. If you’re taking medication for a chronic condition, and you cannot get in to see your physician for a refill, your pharmacist may be able extend your prescription until you are able to meet with your physician. (Note: Prescription renewal does not apply to narcotics or select drug classifications. This service does not replace the need to see your physician for regular check-ups and prescription renewals. Our pharmacy is the ultimate one-stop shop for you to achieve your desired health status or to properly manage your illness or condition. We are here to give you the assistance that you need whenever you visit us here at Winchester Pharmasave.